Comedian Kevin Nealon knew how to get the attention of his wife-to-be, actress Susan Yeagley. “We were sitting in the makeup room of a show and I said, ‘Can a single guy adopt a baby?’” the comic actor, 65, exclusively reveals to Closer Weekly in the magazine’s latest issue, on newsstands now. “She later said that was either the worst pickup line or best pickup line.” It turned out to be the best: though Susan, 48, turned down the Saturday Night Live vet for a date that night, saying she had to get up early, “she really had to go break up with her on-again, off-again boyfriend. Then she called her mother and said, ‘I just met the man I’m going to marry.’” It’s only one of Kevin’s many lucky breaks, from his 1986–1995 SNL run (among the longest in the show’s history) to his acclaimed 2005–2012 turn on Weeds and his current gig on the CBS sitcom Man With a Plan. Closer met up with Kevin during his recent stand-up show at the KAABOO Cayman festival in the Cayman Islands to talk about his early years in comedy, his many passions, becoming a late-in-life dad to his son Gable, 12, and the classic sitcom role he nearly landed. Scroll below to read our exclusive Q&A with Kevin! Tonight went great. I was very excited about coming here because I did the KAABOO festival in DelMar, California, last summer and that was fun. I wish I could stay longer. I have Man with a Plan with Matt Le Blanc, more stand-up and a YouTube show called Hiking With Kevin where I hike with a different celebrity each week — we’ve had Conan O’Brien, Jack Black, Owen Wilson, Helen Hunt [and] tons of great people. This summer, I’d like to direct two short movies I’ve written, both dark comedies. One is about a guy who’s given a certain amount of time to live but doesn’t die, and a lot of people are disappointed. Ha! What’s the best job you’ve ever had? God, it’s hard to say. I think doing The Tonight Show Starring Johnny Carson as a stand-up was probably the most thrilling thing I’ve done yet, and that’s saying a lot because I’ve done SNL for nine seasons, Weeds and a bunch of other stuff. Because I was so fresh to this business, it was more of a roller-coaster fun ride for me. But I’m proud of SNL, Weeds and Man With a Plan right now. Do you keep in touch with any costars? Yeah, sure. Dana Carvey’s a good friend of mine. I see [David] Spade. [From Weeds], I saw Justin Kirk the other day. Hunter Parrish I talk to once in a while and Mary Louise Parker I saw last year. Any regrets about projects you didn’t do? No, no … Well, maybe I would’ve gotten into an improv class and onto a writing staff for a sitcom. When I moved to Los Angeles, I was 25, 26 and got a big audition after a couple years there. I had five call backs, and the last time I was in their office, the two producers looked at each other and said, “Well, we’re not getting any closer than this,” and I left thinking “Wow, I got myself a show!” Then two weeks go by and I hear they’re looking for somebody older. It was for Sam Malone, the Ted Danson part on Cheers! Well, you’ve carved out quite a career as an actor and a comic. What’s the funniest thing a heckler ever said to you? Another time, a big rat the size of a cat crawled on stage. It was a high stage — almost eye level for the audience — and they were eating, so everybody freaked out. Then it ran down into the crowd and people were jumping up on their tables like it was The Poseidon Adventure! [Laughs] I could tell where the rat was by wherever people were jumping. People thought it was a prop! Unreal! Was there a moment in your childhood that put you on your path? You must have been a terror! What was your childhood like? It was just wonderful. I have two brothers and two sisters — I’m in the middle. We grew up in Connecticut and then my father got transferred with his company to Germany, so we lived in Europe for four years. I learned how to speak German, how to ski in the Alps, how to swim in Greece, how to argue in Italy. [Laughs] It was really kind of a fairy tale. Did you ever think about living in another country? Which comedy says the most about you? I love The Heartbreak Kid with Charles Grodin — that was one of the funniest movies I’ve ever seen. I do relate to that — it was about a guy who marries the wrong woman. You were married to your first wife, Linda DuPree, from 1989 to 2002. Would you say the last years were the most challenging in your life to overcome? Getting through the divorce, yeah. That was really challenging, and I didn’t [even] have any kids. You’ve been married to your second wife, Susan, for 13 years. What makes her special? She’s just funny, kind and we have a good time together. She has a big part in Christopher Guest’s movie Mascots. We try to go out once a week as a couple because we have a 12-year-old son. We ask each other questions and travel a lot. What’s new with your son, Gable? He just joined the basketball team, which is great. He never really wanted to play on a team because he didn’t want to disappoint the other parents. [Laughs] He’s a good dancer, but he doesn’t take that after me. He’s popular, kind, funny — the child I was dreaming about. It just showed me this whole other side of life. I had a child late in life, but it really has made me appreciate him much more. First and foremost, be kind to people and treat everybody like they are your siblings, though in some families that probably wouldn’t be very nice. [Laughs] Also, try not to take shortcuts and just do your best. 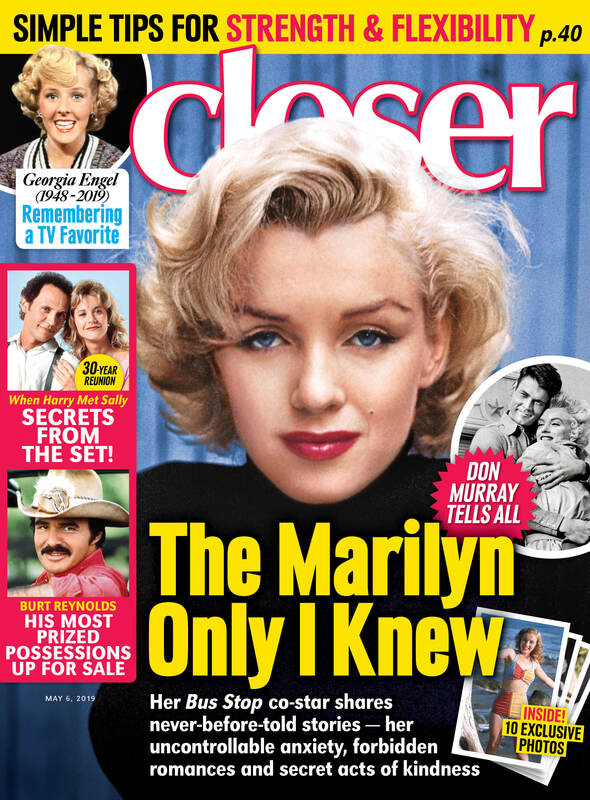 For more on Kevin Nealon, pick up the latest issue of Closer Weekly, on newsstands now — and be sure to sign up for our newsletter for more exclusive news!